Torre a Cona is a winery of about 500 acres located in the hills at south east of Florence, about 370 mt above the sea level, at the border between Chianti and Valdarno area. The wines produced are Chianti Colli Fiorentini DOCG, Chianti Colli Fiorentini Riserva DOCG, IGT Toscana all made from Sangiovese grapes. 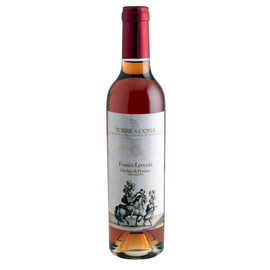 The portfolio has expanded with Merlot and the typical sweet dessert wine Vin Santo del Chianti. 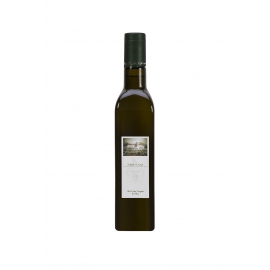 We produce also a fragant and tasty Extra Virgin Olive Oil. The villa is set on the ancient ruins of family Quona’s castle dated XII century and bought by Marquis Rinuccini who built the villa in the XVIII century. In the first years of the last century, the estate entered in the properties of Counts Rossi di Montelera who committed themselves in the preservation and restoration of the whole estate. The new generation of the Montelera family, 15 years ago, gave a new steering at the winery starting from the vineyards, then equipping the cellar and converting the old granary into a great charm tasting room. 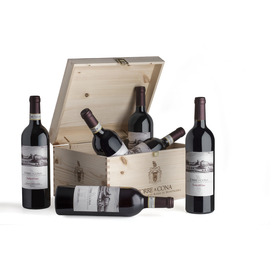 Torre a Cona is in a particular territory for position and altitude, characteristics that we find in all the wines which prefer elegance and finesse to the power, so faithfully telling the territory in which they grow. The awards won during the most important international wine competitions and high reviews testify to the exeptional work performed by the winery in these past fifteen years.